Are you looking to get into archery and don’t know which bow to go for? Or are you an advanced/intermediate archer looking to seek the finest quality English longbows for sale? You’ve come to the right place! 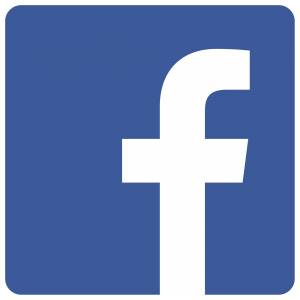 We stock a wide variety of traditional archery bows and longbows, professionally hand-crafted with high-quality materials. Here we will go through some of the bows we have for you to order and more detail on which one is the best for you. The English Longbow is well known as a historical bow made from a single stave with relatively narrow limbs so that they are circular, oval or D-shaped in the cross section. With varied lengths roughly equal to that of the archer, they are the perfect instrument for your long-range draw needs. Built to last from many different types of woods throughout many cultures over hundreds of year, and on into the modern age. Tried and tested methods of assessing natural material quality’s combine with man made materials that were not available until recent decades. You will often need to investigate the details on what your chosen English Longbow is actually made of and the draw/bow weights. 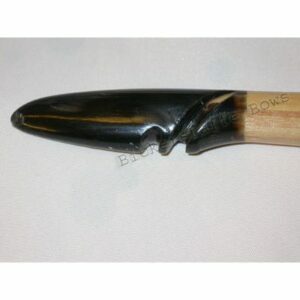 But don’t worry, we will list the details of our longbow archery equipment. 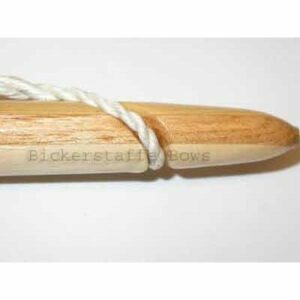 The Bickerstaffe beginner’s Longbow we have in stock is recommended for those just starting out in archery who are wanting low bow weights to get used to. These bows are available up to 35 lb with higher bow weights available from 40-45 lb and at additional cost of £15. Want to find out more? 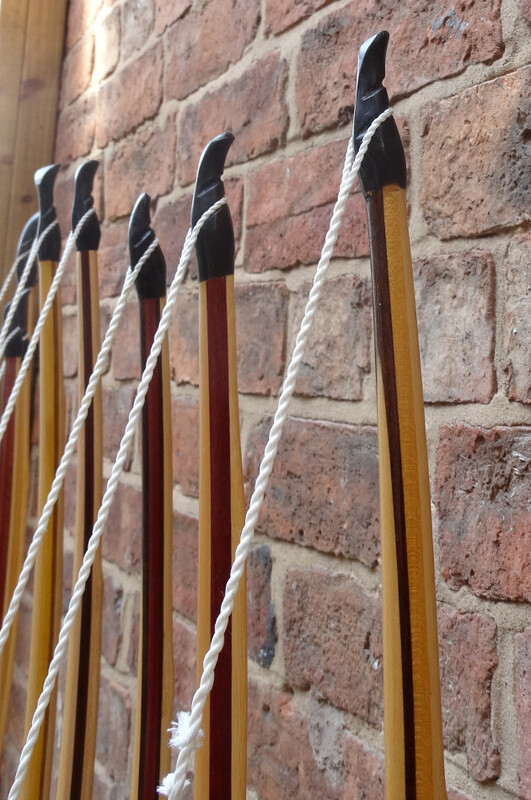 Contact us today on 07581 726161 to speak to our specialists in longbow archery. The Hyde Basic Longbow is the next step to reaching a lighter bow with durability to suit juniors or beginners progressing further up. The horn nocked bow consists of two great laminations: Backed in Bamboo well-known for its toughness and speed of return, with Lemonwood as the superior crushing belly.